My Last.FM account gets 10 years old today. 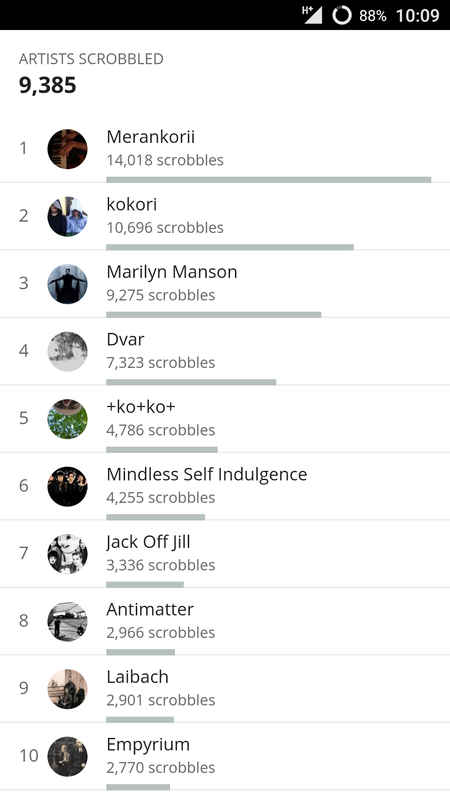 Here's the top 10 artists I've been listening to for the past 10 years. You might also be interested to read what I wrote on my 100.000th scrobble.